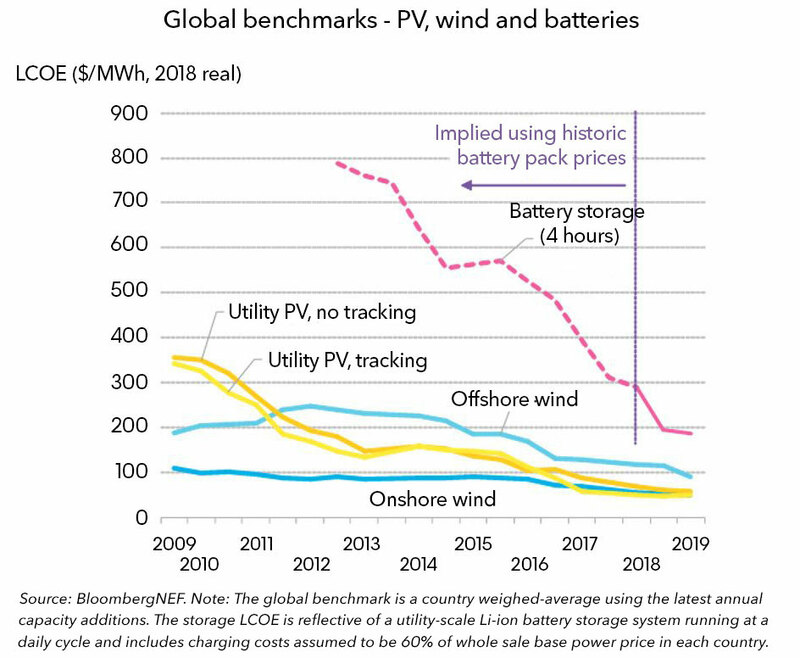 NEW YORK; Feb. 5, 2019 – Ninety-five percent of utilities executives agree that the risk of electricity consumers going largely off the grid and only using it as occasional backup will increase significantly in the next two years, according to a study from Accenture (NYSE: ACN), conducted as part of the company’s Digitally Enabled Grid research program. The deployment of distributed generation (DG) technologies like rooftop solar is increasing faster than utilities can build new grid capacity to handle it in high-demand areas, according to the vast majority (95 percent) of the 150 executives surveyed across 25 countries. In fact, almost half (48 percent) of the respondents said that parts of their grid will reach maximum capacity in three years or less, with only 1 percent believing it will take longer than five years. The proportion of both residential and commercial consumers with rooftop solar photovoltaics in the markets modelled could even exceed 15 percent by 2036 in some markets, such as California. This trend will likely continue to affect net electricity demand growth for the foreseeable future. At the beginning of 2017, our partners from maxx|solar energy spoke to us here at Sunergy to look for organisations that could benefit through a fundraising / crowdfunding venture to install solar systems with the aim to improve their daily operations substantially. The Karanda Mission hospital was chosen as a deserving project because at the time, they were upgrading and expanding their facilities and surgical services through the addition of an extra surgical unit. The Karanda Mission hospital is located North East of Mount Darwin on the banks of the Ruya river. It was established in the 1950’s and has grown to become a major contributor to the medical wellbeing of the population in the surrounding areas as well as to patients throughout Zimbabwe. Karanda has access to the main ZESA (Zimbabwe Electrical Supply Authority) grid power but due to its remoteness, power cuts are frequent and of varying duration. This leaves access to self-generated power as the only alternative. There is also a delay between a power outage and turning on the generator, which means a power shortage that affects the operating theatres can affect operations considerably. The equipment required was sourced through a combination of donations and other funds which can be tracked transparently through the maxx|Blockchain Hub at all stages.Donors receive an online login where they can follow the system’s electricity production and have proof that their contribution has reached its destination. It was decided that the new theatre block and the day surgery facilities would be linked to a solar system, which would become the main power source. The design of the system was commissioned in mid-October of the present year, comprising of 54 solar panels providing 15kW of power. The panels are mounted on an IBR covered roof in an East/West configuration on a building adjacent to the theatre block as this roof was free of any shade constraints. That power is processed through combiner boxes into 3 x Steca PLI5000 inverters, one for each phase, and then routed through the existing electrical system to the theatres. There is a Hoppecke battery bank which serves as a backup to the system for limited night time use. The Karanda PV Project was launched publicly in Harare on the 19th of October 2018, with representatives from the Karanda Mission Hospital in Zimbabwe, as well as many of the project’s implementation partners from Germany, South Africa and Zimbabwe such as the German Energy Agency, dena. The event marked the unique convergence of leading technologies, expertise, support and innovation to achieve a common purpose. Image 7: Representatives from dena, Sunergy, maxx|solar,and Karanda Hospital press the Karanda Hospital live feed button at the Launch Event. We hope this represents the first of many such similar systems for Zimbabwe and our neighbours. Sunergy Zimbabwe along with our partners JVS Projects of Zimbabwe and maxx|solar energy of South Africa, and the many organisations and people who supported the initiative, are proud to enable the harnessing of power from the sun to improve the health and wellbeing of the community of Karanda and beyond, long into the future. With special thanks to everyone involved, named and unnamed around the world, who contributed so much towards ensuring this project’s success.